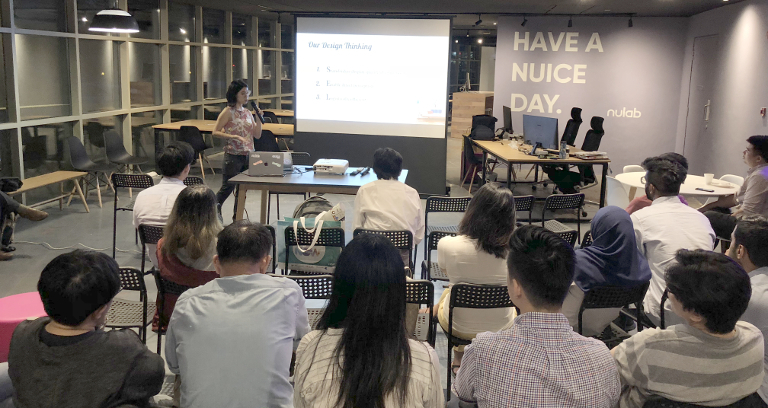 We have recently opened our Nulab community space – NuSpace – in Singapore, and as part of the celebratory spirit, we held our second Nulab Drinking Code event on Tuesday (24th July 2018). Darren Lee, a self-taught UX designer. Since this is Nulab Drinking Code, we started off the event with pizza, light snacks, plus – drinks, of course – and members got to mingle and chat in the relaxed atmosphere. After a few rounds, we started our talks on UX. Talk #1: “My country wants to go cashless, so I redesigned a digital wallet, DBS PayLah!” by Darren Lee. Darren told us how he had the idea to redesign the PayLah app because of his dissatisfaction with it, and he gave a great rundown of his UX design process – how he conducted user interviews and research during his after-work hours, the tools he used for the redesign, the thinking process, and how his article went viral. (You can check it out here). During the Q & A, members of the audience had quite a number of questions for him! Talk #2: Art dealing with Augmented Reality: the UX by Evelyn He. 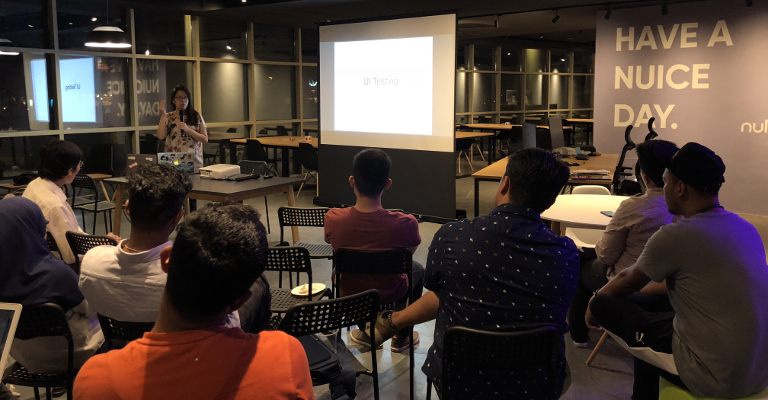 Evelyn shared about her startup, Castella; about how they make the customer/user experience of viewing and buying art more convenient and seamless with our everyday lives, and the tech behind her app – Apple’s ARKit. She also gave us a great demo of her app. I think it was amazing like magic. That’s the beauty of technology. Evelyn giving a demo of her app in action. 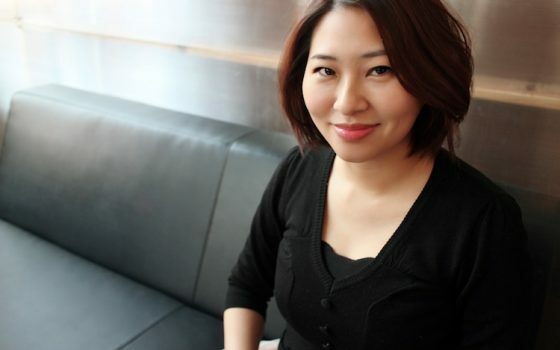 Shi Ling told us about her background – about her father who’s an engineer and herself as a web developer, so she’s very particular about making things work properly and this goes for UI too. She shared about the pain points in UI testing and how her startup, Uilicious, can automate and make UI testing easier. After the talks, members continued to have drinks and broke up into smaller groups to chat among themselves, or approached the speakers with more questions and discussions. It was a successful event, and we want to thank everyone who came down for the event, and our wonderful speakers – Darren, Evelyn and Shi Ling – who volunteered their time to share their experience and knowledge. We intend to make Nulab Drinking Code a regular event, with a variety of tech-related topics that can interest and add value to our local tech and startup community. 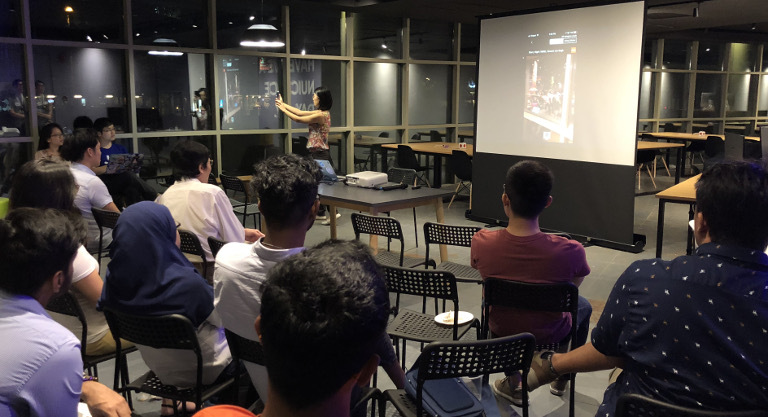 If you are interested to join our next event, you can sign up at our meetup group, or better yet, become a Nulab member so that you can enjoy free access to our community space NuSpace and get updates on Nulab events in Singapore – sign up here! Hope to see everyone again at our next Nulab Drinking Code. Cheers!